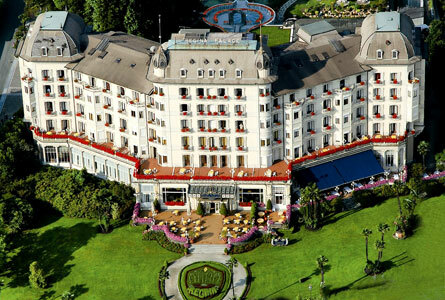 When I travel in the Lake Region, my preferred ‘base’ is the small Lago Maggiore village of Stresa. Strung along the western shore of the lake, it offers gorgeous views, reasonable prices and easy access to the entire lake region of Italy. Hotel Regina Palace: Luxury along the lake. Lovely hotel, completed modernized and renovated with easy access to the lake and ferry building. Not as pricey as the Grand Hotel des Isles Borromees down the street and rooms and service are nearly equal. The Charleston Restaurant, located on property serves good food, though I recommend eating in one of the places listed below! 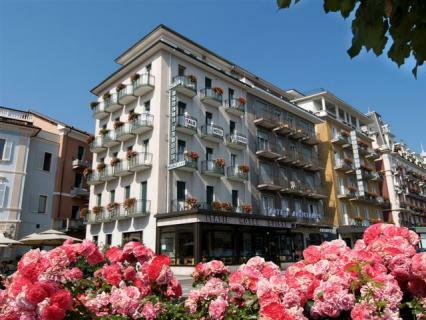 Hotel Italie et Suisse: This is a ve ry clean and comfortable hotel directly on the lake side Piazza Marconi in central Stresa. The three star service is exceptional, the rooms simple and very clean. The views from the lake side rooms, with small balcony, are breathtaking. The breakfast buffet is excellent and the price for the lake region can hardly be beat. This place is a winner. Hotel Verbano, Isola Superiore dei Pescatori: If your preference is to enjoy the quiet on one of the Borromeo islands, this is one of two choices I recommend. 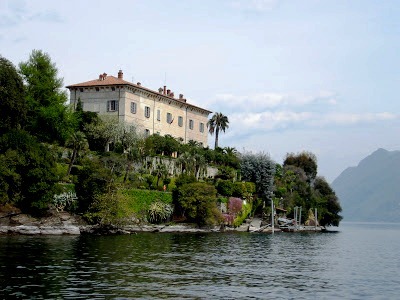 Located at the southern end of the island, some of the rooms have views of the villa on Isola Bella, others offer views over the lake toward Switzerland or the western shore of the lake. This is a hotel with atmosphere; don’t read that as old and musty. It has a feeling of comfort that is reinforced by the service of the owners and staff. There is also a restaurant on property, with a terrace on the lake. Lovely in the evening. Remember that the only way to get to the mainland after the regular ferry schedule is by private launch. 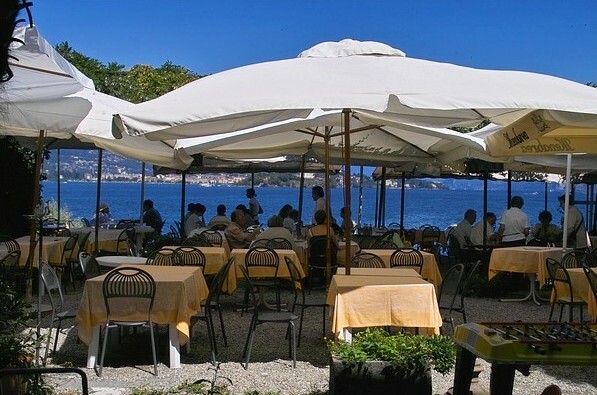 Hotel Belvedere and Restaurant, Isola Superiore dei Pescatori: This is my other favorite option on the island. Located on the north end, this property, which includes a marvelous restaurant, has views north toward Switzerland and the lakeside city of Intra. Rooms are very clean and comfortable. Don’t expect a lot of frills, but the experience of a peaceful island evening makes this is another great choice. The restaurants and osterias listed here are those I have eaten in many times. I recommend these based on personal experience. They all offer a balance of fair prices, great food, excellent service and memorable meals. Osteria degli Amici: Located above the main square in the village of Stresa, the menu offers a wide variety of meat and seafood dishes. This is not a fancy place in any way, yet the atmosphere, the energy of the staff and the wonderful food make you forget all about the small ‘stuff’. I’ve had many different meals here over the years – all excellent. Pizzeria Mama Mia: Who can pass up a pizzeria named “Mama Mia”. The family brought their creative cooking skills from Sicily and the Naples area, birthplaces of great seafood and pizza in that order! Carmela, the owner, is a joy to meet and the attentive and well timed service is always exceptional. Can’t tell you have many wonderful meals I have enjoyed on the terrace in the warm weather, and in the welcoming warmth of their lovely dining room in the winter. Go! 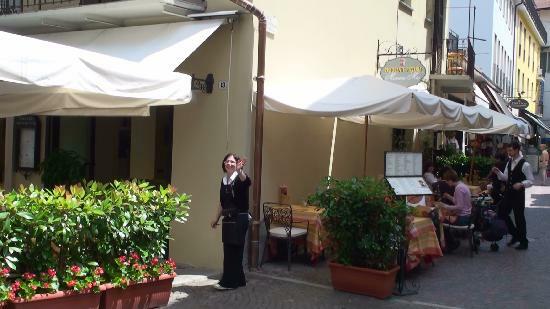 Osteria del Castello, Verbania: This one is a ways from Stresa. You can reach the town of Vebania on many of the ferries that run to the Borromeo Islands and continue north along the lake. The ferry trip from Stresa to Verbania takes about an hour. 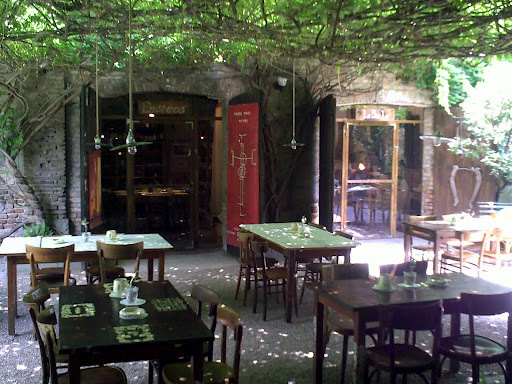 This small, lovely, romantic Osteria offers an exceptional wine list. Located in a very small piazza, but not far at all from the boat landing/ferry building, the staff always provide very good service and excellent light fare. Best at lunch or, if you are staying near Verbania this is a wonderful place for a drink before or after any meal.